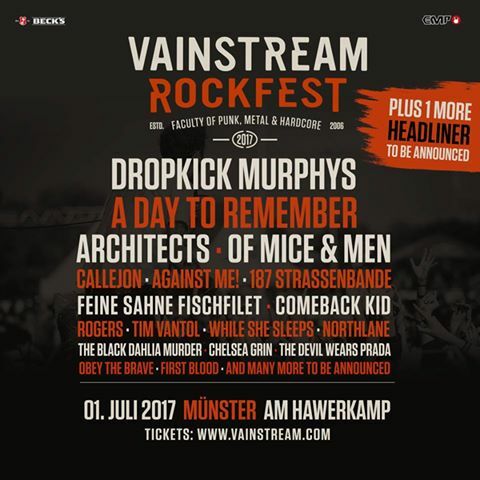 Update: Vainstream Festival has just announced additions to its 2017 lineup, also featuring Dropkick Murphys, First Blood, and Chelsea Grin. The final lineup is yet to be revealed though. Happy Valentine's folks! A Day To Remember has just announced that they will be appearing at Vainstream Festival this summer via their Facebook page. Does this mean that the festival will be announcing new names today? We hope so!